During the holiday season, our thoughts turn gratefully to those who have made our success possible. 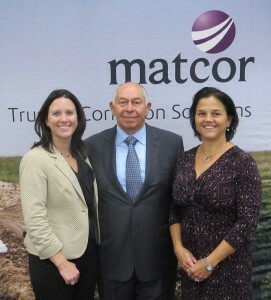 It is in this spirit that the entire MATCOR team says thank you and best wishes for the holidays and New Year. Our thoughts and well wishes also extend to local families in need. 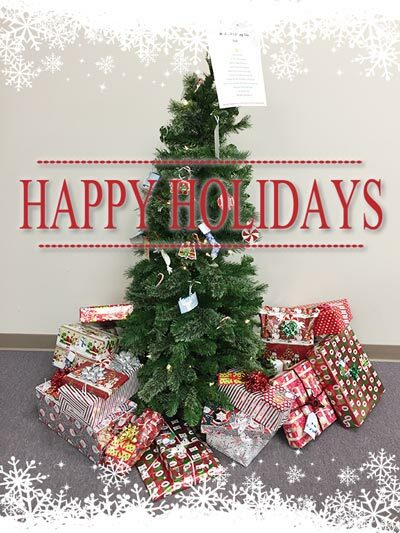 Our team in Chalfont, PA donated and delivered dozens of wrapped gifts to the Bucks County Housing Group. The mission of the Bucks County Housing Group is to advance the interests of people with low-moderate income and people in crisis through the provision of affordable housing and related social services. Learn more at bchg.org. The MATCOR team in Guthrie, OK also came together to make one family’s holiday season much brighter. They adopted a family with five children, purchasing fleece coats and outfits for each child along with two items from their gift list. The family was adopted through the Edmond, OK Rankin YMCA Angel Tree. The YMCA strengthens communities through programs that build healthy spirit, mind and body for all. Chalfont, PA – June 25, 2014, MATCOR, Inc., the trusted fullservice provider of proprietary cathodic protection products, systems and corrosion engineering solutions, will celebrate America and the local community by sponsoring Fonthill Castle’s Annual Old-Fashioned Fourth of July Festival taking place in Doylestown, PA. The main event, the Children’s Decorated Bike Parade kicks off at 12:30 p.m., followed by wheelbarrow races, sack races, bucket brigade relays, tug-o-war, town ball (19th century baseball), and the cakewalk (a game more commonly known as “musical chairs”). In addition to obstacle courses and centuries-old games, activities will also include face painting and various crafts. Guests will have the opportunity to explore the six-story Fonthill Castle and its many treasures- thousands of handmade objects essential to everyday American life prior to the Industrial Revolution. The collection includes a Conestoga wagon, stage coach, whale boat, horse-drawn vehicles and various hand tools. Patriotic music will be provided by Barbershop quartets from the Bucks County Country Gentlemen, the Galena Brass, the Sellersville Merry Makers, and Marti Rogers, an autoharp prodigy. Summer snacks and treats will be available through select vendors. Attendees are invited to bring picnic baskets and blankets to enjoy Independence Day in true American style. The celebration runs from noon until 4:00 p.m. on Friday, July 4, 2014 at the Mercer Museum and Fonthill Castle. Gate admission is $4.00 for adults, $2.00 for members, $1.00 for children ages 5 – 17, and is free for children four and younger. For more information, call 215-348-9461, email fhinfo@fonthillmuseum.org or visit www.MercerMuseum.org. Chalfont, PA – June 3, 2014, MATCOR, Inc., the trusted fullservice provider of proprietary cathodic protection products, systems and corrosion engineering solutions, recently joined the fight against bullying by becoming a Silver Sponsor of the Network of Victim Assistance (NOVA) Second Annual No Bullying Run, scheduled for June 14, 2014 at Doylestown’s Central Park. Every day, an average of 160,000 American children miss school out of a fear of bullying,according to statistics from the National Education Association. “We have learned through NOVA’s efforts that bullying among school age children has become a national epidemic. MATCOR believes in supporting the important work of local organizations like NOVA, and we are pleased to sponsor the No Bullying Run,” said Douglas Fastuca, President of MATCOR, Inc. 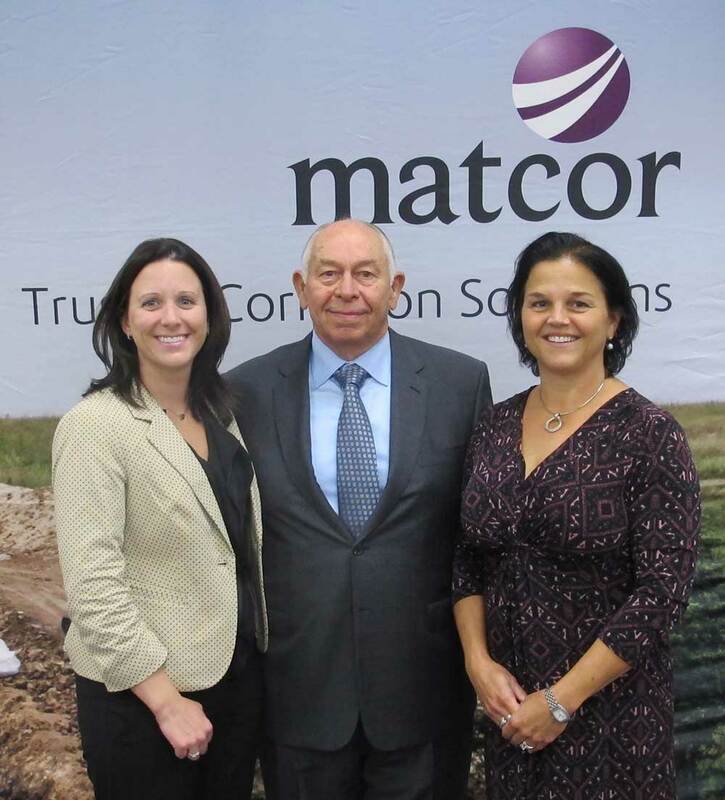 In addition to supporting NOVA financially, MATCOR encourages employees to get involved with local charities. Heather Davis, MATCOR human resources specialist, serves on NOVA’s Young Advisory Board and helped with planning and fundraising for this year’s No Bullying Run. The No Bullying Run aims to raise community awareness on the dangers and prevalence of bullying. Proceeds will go towards NOVA’s Prevention Education initiatives to implement bullying prevention and intervention programs in several local schools. The No Bullying Run includes a 5 mile run, 1 mile fun run and various activities geared toward promoting healthy self-esteem and respect. The event will also features live entertainment raffles, silent auction, and other family- and child-friendly activities. Proceeds will benefit NOVA’s Prevention Education initiatives, which deliver schoolage programs on bullying prevention and intervention in local schools. Registration is open through June 9, 2014. To register, please visit NOVA’s No Bullying Run event profile on active.com. The cost is $25/person or $20/person in a team of 5 or more for the 5-mile race, which begins at 8:30 a.m. The 1-mile fun run kicks off at 8:00 a.m., and costs $10/person. An awards ceremony and raffle drawings will take place following the conclusion of both races. Participants in the 5 mile run will receive a free tshirt. For more information, please contact NOVA via email or by calling 215.343.4563.